A string symphony from Mendelssohnís miraculous teenage years and a youthful suite by Jan·cek, bubbling with Czech tunefulness, open the International Concert Series. Dvor·k orchestrated two delightful piano waltzes for an anniversary ball, while Mozart arranged his Fugue, which started out as a piano piece, to form part of this darkly fascinating instrumental work. 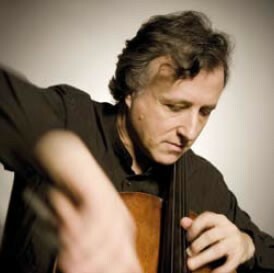 Schumannís Cello Concerto ñ part virtuoso showpiece, part dreamy fantasy ñ is heard in an intriguing arrangement for cello and string orchestra (imagined at one time by the composer himself) and is played by one of todayís most expressive cellists, Raphael Wallfisch.